In this technology-driven facial treatment, active solutions are incorporated, using an abrasive tip. Your skin will be re-hydrated, refreshed and look visibly healthier and smoother. Hydrafacial™ is a non-invasive, non-surgical treatment option for hydrating, extracting, cleansing and exfoliating your skin. With minimal discomfort and no downtime, you can see the results of the procedure immediately after treatment. Individual results may vary. Hydrafacial™ provides numerous skin benefits including enhancing skin tone and texture. It also reduces the appearance of fine lines, wrinkles, pigmentation and improves the appearance of acne-prone or oily skin. Aspire Medispa team members are highly experienced and qualified, providing the highest level of care and concern for all patients. We are committed to maintaining the excellent hygiene standards when we perform Hydrafacial™ treatments. We also utilise the most up-to-date and innovative technologies on the market. We typically recommend a course of six to 12 treatments, with two weeks between each treatment session. Mild redness can initially occur, but quickly dissipates. 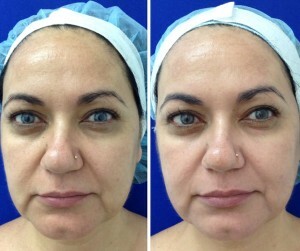 You can wear your makeup straight after the procedure. 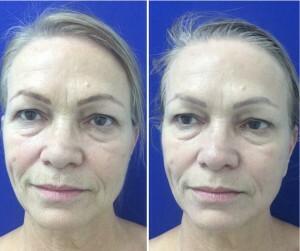 These before/after images were the results of just one treatment. We think the results speak for themselves!